Fear and frustration best describes emotions felt by University of Toronto faculty and students after they say administration delayed notification that asbestos contaminated some of the university’s science labs. “The emotional experience is really devastating,” said physiology and medicine professor Adria Giacca in an interview with CBC News. Asbestos is the leading cause of mesothelioma, an incurable cancer whose symptoms don’t appear until 20-50 years after asbestos exposure. A maintenance person who reported losing sleep over the issue, after sweeping the affected labs several times, said officials should have informed him of the possible exposure to asbestos. Faculty and students say they had no idea their labs were contaminated with the deadly substance until the university administration issued notification a month after test results showed asbestos dust in three labs. The union that represents teaching assistants and contract faculty already filed a grievance against the university, claiming the school violated the Occupational and Safety Act. 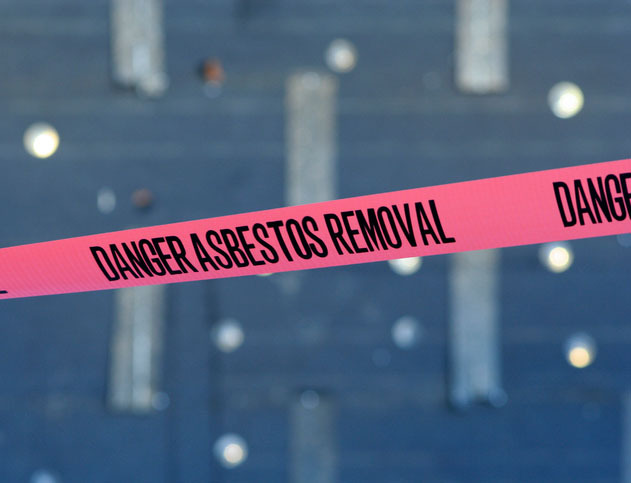 CUPE local 3902 cites reports from union members who say they continued to work without notification despite three documented cases of asbestos leaks in the building where they were working. The incident comes on the heels of a $190-million renovation and asbestos abatement project across three campuses. The problems occurred in the university’s St. George Medical Science Building and led to what students describe as “unusual amounts of white dust coating their lab equipment, papers, laptops, benches and the floor” as early as November 2016. Farshad Azimi, a doctoral student, remembers “a lot of white powder” in the hallways outside the lab he works in as early as December. He says he thought it had something to do with the construction but didn’t hear anything about asbestos until March 8. “What we were appalled by was the fact that this was kept quiet, because it happened on other floors, and the information was not shared,” Azimi said. Scott Mabury, vice president of university operations, acknowledged that communication regarding the issue has been a challenge. “I recognize and acknowledge [students’] concern. Our primary interest is their safety,” Mabury said. Those exposed to the deadly microscopic fibers have good reason to feel unsettled. If a person inhales asbestos fibers, tumors may form around the lodged threads and lead to the development of mesothelioma. Tests results on Feb. 1 showed contamination in three separate labs. Further analysis showed asbestos present in the labs on Feb. 24 and March 17. Overall, the toxic substance permeated five separate rooms. A worker drilled a hole in the wall leaving a pile of asbestos dust on the floor. Fibers leaked from a containment area that wasn’t sealed properly. Air pressure forced asbestos-containing dust out of a service shaft where workers were present. The science building is 50 years old. Construction projects during that period used prolific amounts of floor and ceiling tiles that contain the lethal material that was heralded for its fire retardant properties. University officials closed two labs after repeated tests showed positive results for asbestos contamination. Since then, officials issued a written statement explaining the entire medical science building was “safe for general occupancy” based on results of more than 200 air samples taken in and around the building over the past two months. The school’s statement included a promise for a comprehensive review to investigate the source of asbestos contamination. Giacca remains unconvinced and says she wants foolproof documentation that her lab is safe, citing that it tested positive for asbestos only a couple weeks ago. While her lab has since been reopened, she maintains her disappointment over university communication regarding the contamination. Mabury defended the university’s handling of the situation stating, “All required communication was done.” He stated that faculty who worked in the affected labs received notification and notes were placed on doors. The university continues to monitor air quality in the building, posting the results on their website each day. Administration officials report the school has not been required to take any further measures based on supervision by the Department of Labour which sent representatives to visit the site three times. This incident comes at a crucial time in Canada’s history. Public awareness about the dangers of asbestos is at an all time high as the nation looks to an expected asbestos ban by 2018. The prohibition includes products containing asbestos as well as imports with the carcinogenic material. The ban could extend to products already manufactured. Canada would join 56 other countries, including the U.K., Germany, France, and Japan, that already placed a permanent moratorium on the proven cancer-causing mineral. While it’s heavily regulated in the U.S., lawmakers have not banned the substance. Fraser, L. (2017, April 7). U of T hit with health and safety grievance over asbestos leak. Grant, T. (2017, March 31). University of Toronto Faculty Staff Demand Asbestos Audit.